When somebody has empty pockets and delusions, they’re considered crazy. Present with the same psychoses if you’re rich though, and you’re merely eccentric. Despite Rift VR’s rather large bank balance at the moment, I’m going to abandon that tradition – and just call the chaps at Virtual Reality peddlers Rift VR downright insane. 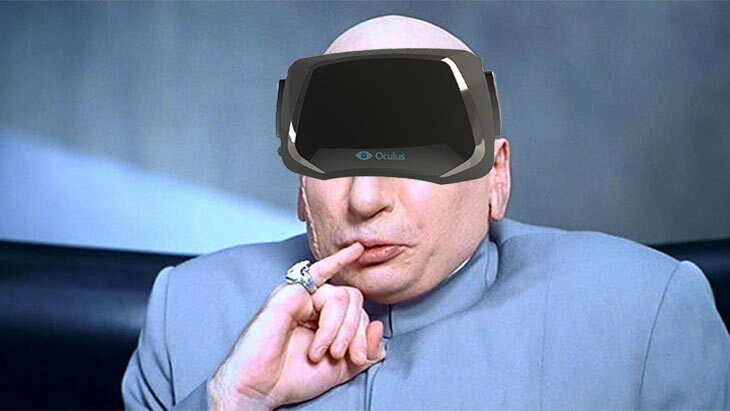 Detailing their great big plans for the future, Oculus CEO Brendan Iribe spoke of ambitions to create a virtual reality MMO…that would have support for one billion players. He said this, with a straight face, at technology conference TechCrunch Disrupt NY 2014. I can only assume Facebook money buys some pretty good recreational narcotics. Of course, in order to achieve something like this, the company would need to create “a bigger network than exists in the world today.” Facebook’s probably a good start. while the company is still focused on games, it realises the folly of limiting its audience to gamers. So they want to build a social, Virtual Reality MMO. “Do you want to build a platform that has a billion users on it, or only 10, 20, or 50 million?” he said. What I want..is a little of what he’s smoking. This latest bit of insanity signals Rift’s rapid descent in to madness. The company’s last unhinged statements suggested that Virtual Reality would replace traditional TV entirely in the near future.